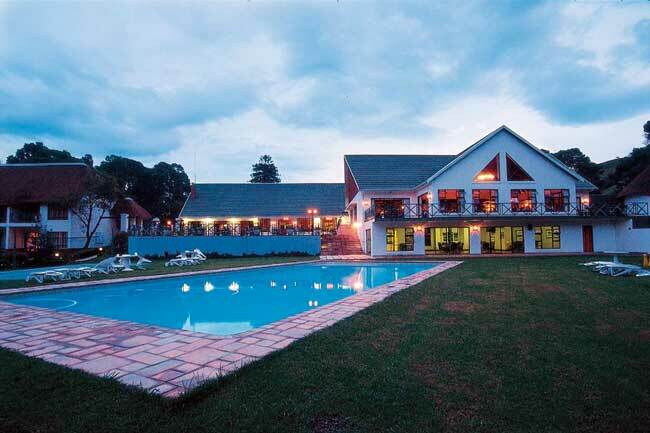 Champagne Castle is situated within a World Heritage Site (the uKhahlamba Drakensberg Park). 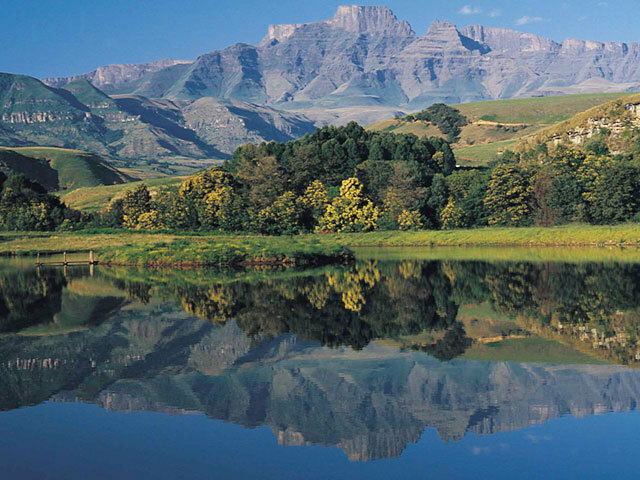 The location of Champagne Castle can be considered one of a kind and is often praised for it's views of the Drakensberg escarpment and Barrier of Spears. Louvre door separating main bedroom from sunroom. Suitable for one child. Includes: Private patio, Bath & Shower, Twin or double beds. Includes: Separate bath and shower, Private patio, Twin or double beds, Gowns provided. Two rondavels and two normal hotel rooms. Includes: Separate bath and shower, Twin or double beds. Includes: Bath and shower; Patio; Twin or double beds; Gowns provided. One bedroom with king size bed, bath and shower. 2nd bedroom with two twin beds, a 3rd pullout bed suitable for young children and a bath or shower. Patio with a partial mountain view. Gowns provided. Two of these Deluxe family rooms have wheelchair access. 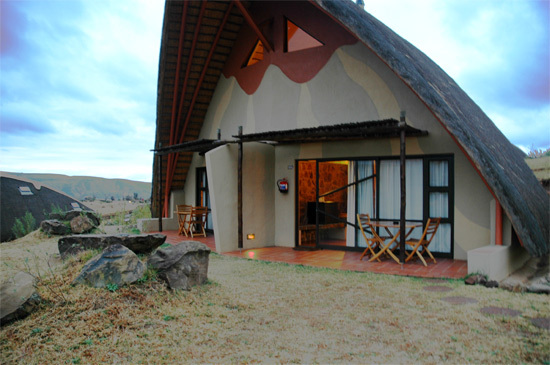 2 Suites set close to the forest overlooking our trout dams. They are mountain facing. Two bedrooms, open-plan lounge/dining room/kitchen, open fireplace, two bedrooms, two bathrooms with spa bath and shower, under floor heating in the lounge/dining room and in the bathrooms. Private patio with lounge furniture and gas Weber braai. TV in the lounge and in each of the bedrooms. Bar fridge, gowns, oil heaters, safes. The Suites can either be booked on a catered or self-catering basis. Luxuriously appointed with spectacular views. Maximum 6 people per chalet. There are no telephones in the chalets. Small pets allowed by special arrangement. Champagne Castle has two varying sized rooms that can accommodate functions, depending on its size. A spacious room overlooking the mountains and surrounding scenery. The room opens onto a curved verandah, allowing guests to adjourn for tea, refreshments, finger lunches, braais and private dinners. For workshops and presentations this room accommodates 120 people in a cinema-style seating arrangement. For conferences, the room seats a maximum of 40 people in a school-room or U-shaped configuration. Refreshments and tea provided for conferences. Equipment provided: Fixed data projector, large drop-down screen, and a Home Theatre system for video, DVD, CD or TV. This includes laptop connectivity. Also offered are a flipchart, lapel microphones, stand-alone microphones and a podium. Accommodates a maximum of 20 people seated board-room style. Equipment provided: Drop-down screen, dry white board, flipchart. Minimum stay of Fri and Sat night. Should we accept a reservation for a Thurs/ Fri or Sat/Sun night only, weekend rates will be applicable for both nights. A minimum rate of DOUBLE occupancy will be charged for all weekends, long weekends, In-Season and December periods. 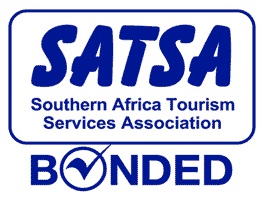 *** Minimum stay of 5 nights between 19 December 2014 and 04 January 2015. Hotel rooms & Suites - Surcharge of R140 per person is applicable to the 24/12/2014 & 31/12/14. 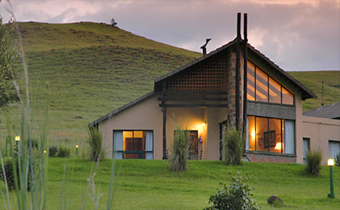 Self-catering Chalets - Surcharge of R560 per unit is applicable to the 24/12/2014 & 31/12/14. 3 - 6 YEARS = 25%, 7 - 12 YEARS = 50% OF ADULT RATE. 13 AND OVER FULL RATE. The rates quoted above include lunch, dinner, accommodation, breakfast and morning/afternoon tea and coffee. The rates quoted above are for the chalet per night for a maximum of 6 people. No meals are included. 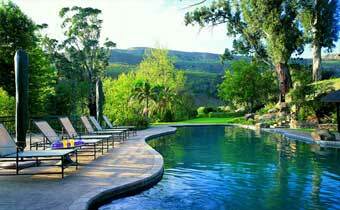 R300 per person surcharge (irrespective of age) is applicable should more than 6 people be accommodated in a chalet. This is by special arrangment only. Please note that crockery, cutlery, furnishings etc are only provided for 6 people. All prices are subject to change without notice and availability at the time of reservation. Follow the N3 past Mooi River Plaza Take the R179 Exit (Estcourt North / Giants Castle) turnoff Turn left and travel through Loskop for about 30 km's. At Winterton turn right onto the R600 (Central Drakensberg Road) that is opposite the Engen Garage. You will pass Champagne Sports Resort and Golf Course / Monks Cowl Country Club / Dragon Peaks / an s-bend / Fernwood Lodge / Falcon Ridge.